The Lord of the Blood Elves has been defeated! Lady Vashj met her destiny tonight. Kill was completely flawless and after a few.. questionable tries this felt really good. 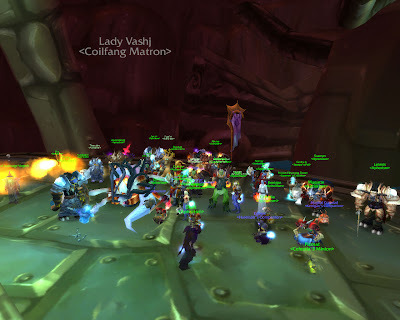 Awesome job guys, keep it up, let's kill Kael now. Oh we killed Doomwalker too just because we were so wound up.